There are moments of daily routine and then there are moments of spectacular experiences. Last week spent in Sri Lanka is exceeding my expectation every day with new suprises. Kindness and great hospitality of local people is not able to describe in one sentence. 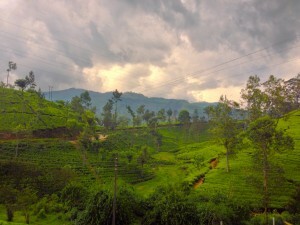 After few days spent in safari camp we came to Nuwara Eliya surounded by hills and neverending tea fields. Atmosphere here is very inspirational and I could easy stay in the middle of the fields and watch this beauty of nature for hours, especially when I am accompanied with Dilmah Family having conversation about their passion and drive to aim maximum quality of true ceylon tea.